It’s like an automotive representation of a schizophreniac with poor taste. Someone paid extra $ for that! I thought only VW Golfs came in the Harlequin Edition? Not a bad price for a 507. Only problem is being seen in it as you drive home before you have a chance to put it back to stock. Lol. Dear lord....you'd think the dealer would put some of it back to normal to help with selling it. There is too much wrong with it to list, but those wheels remind me of the stock Tesla 3 aero wheels, hideous. 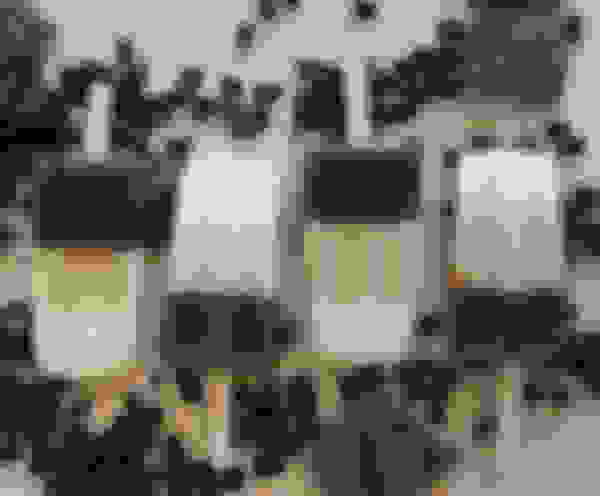 Last edited by INS1GNIA; 08-21-2018 at 02:39 PM. omg... that's one ugly looking car. lol If only it was just white or grey.. hell if it was only one colour with the stock rims it would sell much faster! When choosing a color is the hardest thing to figure out you do both ! And to do this on a 507 is taking it to another level ! And wtf is a Grand Edition? The dealer is just making **** up. Unless the previous owner's last name was Grand? Luckily, it's just a wrap, from what I read in the listing. so the right side of the car has stone chips and the rest looks brand new. (says the car is polar white) Got it. eff that car. I would never buy a car wrapped like that. full wrap or front end wrap is fine, but the car pictured is ruined, even with the wrap off. I don't even think the price is very good, I paid about 3k more for one with 30k miles on it - this one needs the 507 wheels which are 3k at least for a used set with good tires, remove all the wrap (which the dealer should have already done if they want good money for it), issue is the 507 stripe is $1000 to buy from merc, guess you could do the cheap ebay one for 50 to fix that. So it maybe needs 50k put into it to get it back to stock (if they haven't done something else terrible too it), car is worth maybe 40k max I would think. Maybe its a social statement about being all inclusive? Check out the video on the dealer's website - this puppy is turbocharged AND supercharged! I actually realized that grand edition rang a bell and went and looked at my datacard - the 507 option actually says P61 Grand Edition, so guess they are actually correct on that one, sure glad they didn't decide to write that on the car anywhere! 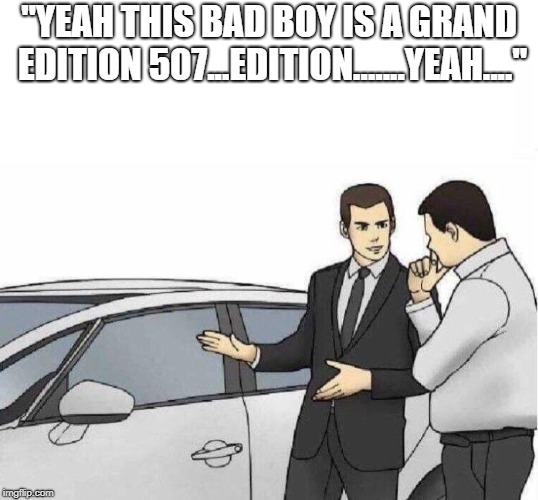 So you have a Grand Edition too? Sweet! Seriously, though, that's funny. Thanks for sharing. So the 507 option = Grand Edition? Ya thank god my dashplate doesn’t say grand edition would have to pry it off!